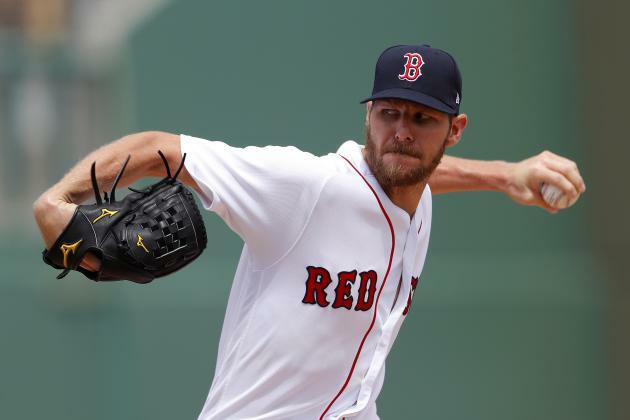 The Boston Red Sox and Chris Sale reportedly agreed to a five-year extension Friday that will keep the left-hander in Beantown through the 2024 season, sources told Ken Rosenthal of The Athletic. Sale’s deal is expected to be in the $150-million range, sources told ESPN’s Jeff Passan. It will take effect following the conclusion of Sale’s current contract, which will pay him $15 million in 2019. The 29-year-old played an integral role in Boston’s 2018 championship season, most notably coming out of the bullpen to record the final outs of Game 5 of the World Series. An extension for Sale would mark the latest in a barrage of deals for stars currently under contract, headlined by Mike Trout, Alex Bregman, and Blake Snell. The Red Sox were rumored to have been working on a contract extension with reigning AL MVP Mookie Betts. However, the outfielder said Wednesday that he will likely wait for free agency, while team president Dave Dombrowski recently said he would not negotiate contracts once the season begins on March 28. The left-hander, who turns 30 on March 30, would become the latest superstar to re-sign with his current team before potentially hitting free agency. Sale is set to enter the final season of a five-year, $32.5 million contract. He’s scheduled to make $15 million in 2019 before potentially hitting the open market next offseason. An extension would alleviate concerns the Red Sox could lose one of the most important members of their star-studded roster next winter.